Saints Constantine and Helen Orthodox Church was established in 1974. It is dedicated to the memory of the first Emperor to become Christian, and his mother—a conversion which subsequently ended 300 years of persecution against the Church. 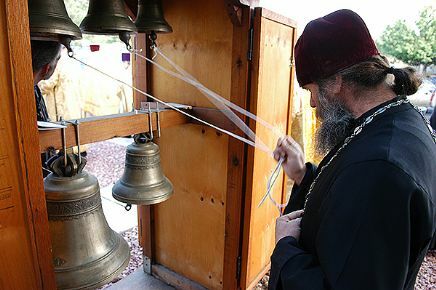 In 2002 the expanding parish completed a new temple on the property, Holy Theophany, dedicated in honor of the Baptism of Christ in the Jordan. Now both churches are used for services and parish activities. The parish is under the jurisdiction of the Orthodox Church in America (OCA). Our Primate is Metropolitan Tikhon, the lead bishop in the central administration of the OCA in Syosset, NY. Our presiding bishop is our beloved Archbishop Benjamin, the Diocesan Hierarch. His Eminence is the ruling bishop for the OCA Diocese of the West. He resides in San Francisco, CA.